Budget fashion retailer Primark opened a new outlet in the CrownGate Shopping Centre, in the middle of Worcester on 2nd December 2010. The store is located on the former British Home Stores (BHS) site which is part of a post-tensioned structure. 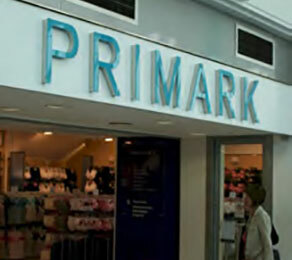 When the requirement for a new lift in the Primark outlet was identified, the contractor McLaughlin & Harvey Ltd called in CCL to undertake the creation of the void necessary to house the new lift. CCL’s role involved exposing the existing unbonded post-tensioning system within the concrete slab and carrying out the de-tensioning of the tendons. Once this had been completed, the CCL XU anchors could be moved and reset around the void, and the concrete cast around the anchors. The post-tensioning system was then re-stressed and the area was ready for the construction of the new lift shaft to take place. As the specialist contractor, CCL’s involvement with the project provided the main contractor and the client with the complete reassurance that the remedial work had been carried out to the strictest quality standards. The company also demonstrated the ease with which future modifications could be carried out on post-tensioned structures.